Editorial The Arab-Israeli conflict has been the focal point of Middle East affairs for the past 70 years. Over the decades, there has been a distinct lack of progress on creating a lasting peace between Palestine and Israel. While there were high hopes for a considerable breakthrough between Palestine and Israel in the 1990s, things eventually went back to square one by the start of the 2000s. 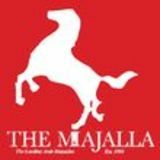 This week’s issue of Majalla explores current developments regarding Israel and Palestine such as the recent General Elections in Israel and the proposed “Deal of the Century” from the Trump administration which aims to usher in a comprehensive peace process. 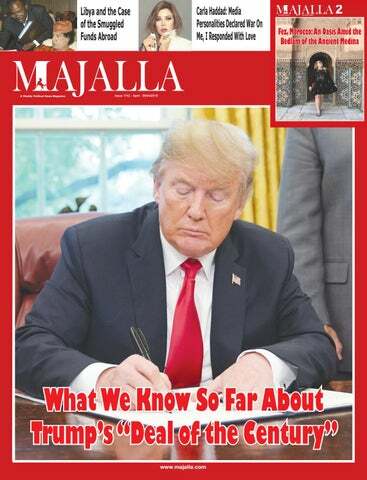 This week’s cover story by Yasmine El Geressi is on the Trump administration’s proposed “Deal of the Century” which aims to finally initiate a lasting peace between Israel and Palestine. Thus far, the details of the deal have not been made public, but judging from various interviews of Trump cabinet members the deal will be economically based as it will aim to increase investment into Palestine. Interviews have also indicated the goal of eliminating borders as to ease the flow of goods and people thus increasing opportunities for the Palestinians. This week’s issue also features a report on the latest Israeli elections in which incumbent Prime Minister Netanyahu of the Likud Party faced off against Benny Gantz of the newly formed Blue and White Party. The report notes the controversies and corruption allegations that Netanyahu faced and how he used them to his advantage. The report also focuses on the factors that lead to Netanyahu’s victory and how he narrowly succeeded in this referendum on his premiership. Salem Abu Dhahir explores the scandal in which extraordinary amounts of funds meant for Libyan reconstruction that were/are being smuggled out of the country. The writer gives the historical background of this issue as it started during Gaddafi’s time as ruler became exponentially worse after the fall of his regime. Today, Libyan funds and assets have been smuggled all across the world and are found in unexpected places like South Africa. The writer also tells us about both the legal and illegal means in which the current Libyan government has been trying to get back its embezzled assets. Maia Otarashvili writes on the current Ukrainian presidential elections, the second round of which is meant to take place on April 21. The writer explores the reasons behind the incumbent president’s, Petro Poroshenko, electoral shortcomings noting that while he is a good wartime president who ensured that his conflict with Russia is prioritized in global security agendas, he is an economic failure that caused Ukraine to become the poorest country in Europe. Joseph Braude writes on how the Moroccan state has uniquely used TV broadcasting and radio stations to brand moderate Islamic teachings. Unlike other Arab states that have attempted to do the same, Morocco state media has embraced the unique aspects of Moroccan Islamic teachings and has allowed a myriad of broadcasters to have their say rather than relying on a single cult of personality. 20 Are Russia and China Really Forming an Alliance? 28 Has Brexit Broken British Politics? 48 What's Causing Your Shaky Hands? in the city was evacuated on Monday. Floods described by officials as the worst since the 1940s have hit some 1,900 cities and villages across Iran after exceptionally heavy rain since March 19. Western and southwestern areas of the country are suffering the worst. Prime Minister Benjamin Netanyahu has won the Israeli national election, securing a record fifth term in office, TV Channel 12 said on Wednesday. With 96 percent of the votes counted, Netanyahu’s right-wing Likud won 37 of Knesset seats, against 36 for centrist Blue and White, headed by Netanyahu’s rival, former general Benny Gantz. Though neither party captured a ruling majority in the -120member Knesset, the results, published eight hours after voting ended on Tuesday, put Netanyahu in a strong position to form a coalition government with right-wing factions. Libyan Crisis Escalates as Eastern Libyan Forces Conduct Air Strikes on Tripoli Eastern Libyan forces carried out air strikes on the southern part of Tripoli on Sunday and made progress towards the city centre, residents said, escalating an operation to take the capital as the United Nations failed to achieve a truce. The Libyan National Army (LNA) force of Khalifa Haftar, which backs a parallel administration in the east, last week launched an advance on Tripoli in the west, home to the internationally recognised government. The offensive intensifies a power struggle that has fractured the oil and gas producer since the 2011 overthrow of Muammar Gaddafi. The United Nations has been forced to postpone a carefully planned and potentially watershed national conference on Libya’s political future, a blow to Libya’s democratic forces, who had hoped it might open a path to presidential and parliamentary elections by the end of this year. the EU defer Friday’s exit until June 30 but in Brussels a “flextension” until the end of the year or until March 2020 was being discussed, EU diplomats said. Lawmakers in New Zealand voted almost unanimously on Wednesday to change gun laws, less than a month after its worst peacetime mass shooting, in which 50 people were killed in attacks on two mosques in Christchurch. Parliament passed the gun reform bill, the first substantial changes to New Zealand’s gun laws in decades, by 119 to 1. It must now receive royal assent from the governor general to become law. “There have been very few occasions when I have seen parliament come together in this way, and I can’t imagine circumstances when it is more necessary,” Prime Minister Jacinda Ardern said in presenting the legislation. Ardern banned the sale of all military style semi-automatics (MSSA) and assault rifles just six days after the March 15 shooting, and announced plans to tighten gun laws. challenged by Democrats who raised suspicions that he may have misrepresented Mueller’s report to paint the Republican president in a better light. Barr, an appointee of Trump who last month announced what he said were the main findings of the report, said he would be as open as possible about redactions of sensitive information when he hands over the full document. Image of Black Hole Released in Astrophysics Breakthrough An international scientific team on Wednesday announced a milestone in astrophysics - the first-ever photo of a black hole - using a global network of telescopes to gain insight into celestial objects with gravitational fields so strong no matter or light can escape. The research was conducted by the Event Horizon Telescope (EHT) project, an international collaboration begun in 2012 to try to directly observe the immediate environment of a black hole using a global network of Earthbased telescopes. The announcement was made in simultaneous news conferences in Washington, Brussels, Santiago, Shanghai, Taipei and Tokyo. that his plan is focused on four principles: Freedom, respect, opportunity and security, but despite working on the plan for close to two years, scant information is known about the contours of the initiative. White House officials have also kept mostly silent about the “deal of the century”. Here is what we know so far. White House officials say that the peace plan will be detailed and have identified areas in which it differs from past attempts by previous US administrations to broker a peace deal. Secretary of State Mike Pompeo has said that the administration is trying a new approach, away from the old parameters of failed blueprints that have yielded little results. The new plan is said to bring the benefits of an agreement between both parties to the forefront. In January this year, Kushner visited Oman, Bahrain, Saudi Arabia, and the UAE in a one week tour aimed at gauging the level of support for the economic dimensions of the plan. While in Abu Dhabi, Kushner was interviewed by Sky News Arabia and said that the peace plan is focused on economic opportunity. It’s about “what’s holding back the Palestinian people from achieving their full potential and what’s holding back the Israeli people from being able to properly integrate with the whole region.” He expressed hope that the plan’s economic impact will “be felt throughout the entire region” as his initiative is aimed at bringing about commercial opportunities to improve the living standards for the people in the Middle East—including Palestinians and Israelis— which have remained sluggish due to continuous conflict throughout the region. Kushner has said that «the final status issues will be addressed in our plan» but still little is known about key deal-breaker issues. Bank and the Gaza Strip, which are currently split between the internationally recognized Palestinian Authority and Hamas respectively. “We would like to see is them unified under one leadership and come together. There has been a lot of discussion between Hamas and through Fatah, but I think what the people want is a government that doesn’t have corruption,” he said. The Middle East envoy also said the peace deal is focusing on freedom and respect as the key to put an end to the decades-old Palestinian-Israeli conflict. “The first principle is to have freedom. We want people to be able to have the freedom of opportunity, the freedom of religion, the freedom to worship, regardless of your faith. Respect: we want all people to have dignity and to respect each other. Opportunity: we want people to be able to better their lives and not allow their grandfather’s conflict to hijack their children’s future. And the final one is security.” While sharing his deal with the stakeholders in the Middle East, Kusher apologised for not being willing to reveal significant details about its contents, which he insisted are based on two years of consultations with various parties to the conflict. Kushner highlighted the importance of maintaining the confidentiality of many details of the peace deal. He claimed that the deal’s provisions are more practical and fairer than previous attempts at peacemaking which is why it is required that they are kept secret - to prevent their premature leaking which could lead to its failure. “We have examined the previous negotiations and we found that the details are unveiled even before the maturity of the peace deal, forcing politicians to abandon the plan,” he said. Kushner has said that "the final status issues will be addressed in our plan" but still little is known about key deal-breaker issues such as the issue of Jerusalem, the refugee question, the future of Jewish settlements, security arrangements, bilateral relations, and the parameters of the final borders. While the plan is said to be detailed and therefore less is left to interpretation, this does not mean that an agreement would emerge soon after the deal is finally released as there is no avoiding what each side sees as essential on these core issues. No doubt each side will evaluate and discuss each sentence, necessitating lengthy negotiations. Given the circumstances of the elections, it was largely a referendum on Netanyahu’s premiership which he won even if it’s on a technicality. willing to join Likud and form a ruling coalition. Prior to the election, Netanyahu had been mired with corruption allegations and Avichai Mandelblit, Israel’s Attorney General, announced his intention to press charges against the Prime Minister on cases that range from bribery to breach of trust. What’s significant about Netanyahu is that the allegations against him did not persuade him to leave office; rather the charges seemed to have motivated him to go further. Indeed, he and his party have painted these charges as falsified allegations as a witch hunt propagated by the left wing media. Other Israeli senior officials in the past have resigned when similar charges were pressed by the Attorney General, for example back in 2008 Prime Minister Ehud Olmert was faced with corruption charges which led to his resignation. Despite his supposed efforts to protect his name, he was still convicted of bribery and was sentenced to 27 months in prison. He was, however, released on July 2017 ,2, after serving just 16 months of his sentence. But, Netanyahu has used such charges to his advantage, as such he appealing to his voter base, who will feel that he is being unfairly charged. Moreover, now that he will remain Prime Minister he will most likely paint the election victory as a hardwon battle against the liberal media. Given the circumstances of the elections, it was largely a referendum on Netanyahu’s premiership which he won even if it’s on a technicality. popular opinion polls. In December 2018, he formed the Israel Resilience party, which aimed to oust Netanyahu from power. Gantz attempted to brand himself as a centrist candidate, but his public opinions on various issues raged from right-leaning to vaguely centrist. For example, on the issue of the Palestinian conflict, he rejected a two-state solution and instead called for a “separation from the Palestinians” without really explaining what he meant. Gantz’s biggest campaign platform was that he is the “anti-Netanyahu” candidate, who would seek to improve several sectors, such as education. Many of his policies are similar to that of Netanyahu’s, as such his campaign was aimed mostly at opposing Netanyahu, for instance, he had criticized alleged efforts from the government to avoid any of the charges that Netanyahu is facing, “i.e. the so-called French Laws” which would prevent the sitting Prime Minister from being indicted while in office. Netanyahu has denied any intention to introduce such laws and claimed it as another effort by the media to smear him. Moreover, Gantz had promised to introduce term limits, another dig at Netanyahu as he is now set to win a historic fifth premiership term. Gantz attempted to form a more powerful coalition as he allied with Yesh Atid (one of Likud’s former allies) and formed the Blue and White Party. His efforts did not die in vain as he successfully gained the same number of seats as Likud, but will most likely not be able to form a successful coalition that would take him to Beit Aghion. The most expected outcome so far is that the US Trump administration will soon reveal the “deal of the century”, which would most likely not have happened had Gantz won the election. Gantz’s biggest campaign platform was that he is the “anti-Netanyahu” candidate, who would seek to improve several sectors, such as education. been a breath of fresh air for some voters. IMPLICATIONS ON THE PEACE PROCESS It is still too soon to predict what another Netanyahu term would mean for the peace process. The most expected outcome so far is that the US Trump administration will soon reveal the “deal of the century”, which would most likely not have happened had Gantz won the election. The details of the deal are not clear, but judging various interviews from Trump cabinet members the deal will be economically based and is set to pave the way for more economic investments towards the Gaza Strip and the West Bank. Only time will tell what will come out of the deal of the century, and how it might differ from previously brokered peace deals that never came into fruition. worked to undermine. The Moroccan Islamic broadcasting experience is no panacea for the problems of jihadist indoctrination and recruitment which have drawn some young Moroccans to the ranks of ISIS and the like. Nor can it be evaluated in isolation, in a complex Arab Muslim society in which the state spreads “official Islam” not only through the media but also via schools and mosques — and family, friends, political parties, private media, and a range of other elements exercise a powerful influence too. Nonetheless, the broadcasts offer important lessons for other Arab countries as well as their Western allies as they mull their own responses to jihadist media. And if some of the finer points of the “Moroccan model,” peculiar to the country, do not lend themselves to emulation, they at least serve to challenge the kingdom’s Arab neighbors to think more creatively about approaches that may uniquely suit their own, particular environments. and second-generation Moroccan immigrants in France, additional programming would be delivered in Tashelhit, a Berber vernacular; and French. One experiment worth highlighting is the Kingdom of Morocco’s creation, via its Islamic affairs ministry, of round-theclock Islamic broadcasting on radio and television:. wa-‘l Jahlu ‘Ar).” 4. An institutional approach rather than a cult of personality: Most extremist networks with which Al-Sadisa competes feature either one or a handful of clerics — or the leader of an Islamist militia. They use their television platform to propagate not only an ideology but also their own cult of personality. By contrast, Al-Sadisa features a seemingly endless parade of imams, scholars, and other functionaries of the country’s Islamic affairs ministry. The ministry’s vast human infrastructure, ideologically unified, spans the entire country — and reaches even beyond the kingdom’s borders to include mosques in Europe serving the Moroccan diaspora. Illustrative of the breadth of religious leadership are the camera pans of the audience during the lecture on “Moroccan Salafism” described above: Scores of imams in training, alongside an equal number of women, appear to be following the lecture earnestly. (The latter group of women are training to serve as Murshidat [Guides] — a new Moroccan designation — who partner with male clerics in the leadership of mosques.) The pageantry of personalities has the effect of training the focus on the ideas conveyed more than the individuals who espouse them. This “show of force” — a phalanx of religious and lay leaders sharing one message — implicitly overwhelms the viewer, making alternative Islamic programming seem weak, almost fly-bynight by comparison. 5. Personal responsibility: Extremist channels routinely paint a picture of Islam and Muslims under siege — targets of a global conspiracy to wipe them out. By contrast, Moroccan Islamic broadcasting calls on Muslims to take personal responsibility to improve their lives, accept doctrinal differences within the faith, and prepare the next generation to interact civilly with one another as well as their non Muslim neighbors. people, and, along the way, bolstered the legitimacy of the monarchy itself. As noted above, it is not possible to assess the impact of the broadcasts in isolation, given a complex Arab Muslim society in which the state spreads “official Islam” not only through the media but also via schools and mosques — and family, friends, political parties, private media, and a range of other elements exercise a powerful influence too. Moreover, the broadcasts may be as much a driver of moderate Islamic sensibilities as they are a reflection of sensibilities already ensconced in the country and many of its religious institutions. Nor have all the government’s efforts combined managed to rid the country of its jihadist strain: Terror plots continue, albeit mostly thwarted by police, and scores of Moroccan youth join ISIS and AlQaeda each year. Nonetheless, the kingdom remains the most stable and secure oil-poor country in its region, home to the largest surviving Jewish community in the Arab world, and a welcoming environment to people of all faiths who visit the country. The Islamic broadcasts, pervasive and captivating, clearly deserve some of the credit. As other Arab countries and their Western allies seek their own solutions to the challenge of countering extremism on the airwaves, they can draw some lessons from the Moroccan model: The power of an independent narrative: The programming does not fall into the trap of defining itself explicitly in opposition to a militant ideology, whether ISIS or any other. Instead, Al-Sadisa and its sister radio broadcast lay out a rich, independent narrative of Islamic practice on its own terms. The power of localization: After decades in which various transnational ideological tendencies sought to homogenize Islamic tenets and cultural norms, programming promotes Morocco’s own religious heritage instead — such as its centuries-old legal and spiritual traditions and unique style of Qur’an recitation, all conveyed through the country’s distinctive Arabic dialect. “Localization” attracts viewers and listeners away from the regional channels and strengthens the bond between Islam and Moroccan nationalism — a bulwark against trans-state jihadism. The power of “state Islam“: Most extremist TV channels propagate not only a hardline ideology but also the cult of personality of a given cleric who espouses it. By contrast, Al-Sadisa‘s programming and hosts are embedded within a larger framework of “state Islam”- built around an Islamic affairs ministry - that includes its own mosques, seminaries, and university faculties. Because these religious and lay leaders share a unified positive message that is well grounded in Islamic law and Moroccan tradition, the channel presents a compelling vision for the viewer that makes alternative Islamic programming seem weak, almost fly-by-night by comparison. In many Arab countries, state Islam may offer the only mechanism for religious inculcation of sufficient size and scope to sustain an organized challenge to the well-oiled networks of trans-state jihadism. short, reports of a Russian-Chinese alliance have been greatly exaggerated. For its part, Russia periodically flirts with China’s foe, Japan, by dangling the return of the four Kuril Islands, which the Soviet Union seized from Japan at the end of World War II. Australia, Qatar, and Turkmenistan. Tokyo. In the latest round of that game, during Prime Minister Shinzo Abe’s visit this past January to Moscow, Putin, yet again, held out the possibility of normalizing relations by giving Japan back at least two of the islands, a gesture that Beijing likely resented, even though it did not lead to a breakthrough. Russia also exposed tensions with China within the Shanghai Cooperation Organization—an international body founded by Moscow and Beijing to promote economic and security cooperation among its members—when it invited another Chinese rival, India, to join the group. China tied the score by inviting India’s archrival (and the largest customer for Chinese weapons), Pakistan, to join. Chinese-Russian military cooperation in particular is often held up as evidence of a growing closeness. Much has been made of the fact that Russia has sold China the latest version of its most advanced antiaircraft S400- missile defense system. But India, Qatar, Saudi Arabia, and Turkey are next in line for the same equipment. And although China was the first to buy Russia’s most advanced Su35- jet fighter, it will not be the last. Indonesia has contracted for 11 jets, Egypt has purchased dozens more, and India has reportedly considered buying 114 jets. Overall, from 2013 to 2017, India was a far likelier destination for Russian defense hardware than China, with 35 percent of Russian arms exports going to Delhi, compared with 12 percent to Beijing. Last year’s first joint Russian-Chinese land exercise, Vostok2018-, pointed to an imbalance in military cooperation not unlike the one in the two countries’ bilateral trade. Russia fielded between 75,000 and 100,000 soldiers and 1,000 aircraft; China contributed just 3,200 soldiers and six planes. Mathieu Boulègue of Chatham House argued that China was invited to participate not so much to bolster an alliance as to allay any Chinese concerns about the demonstration of force so close to its borders. Indeed, the need for strengthening mutual trust between the putative allies was evident three years before Vostok2018-, during the Kremlin’s search for Internet policing technology. Following a series of high-level internal consultations, the Kremlin decided to buy data storage and servers from the telecom giant Huawei. China’s economy, on the other hand, is the world’s second largest-more than seven times the size of Russia’swith exports that include advanced communication technologies, cell phones, computers, and cars. Then, suddenly, the deal was off. The security services became so alarmed by the likelihood of Chinese espionage that they dared to challenge the Kremlin’s decision—and, even more surprisingly, managed to reverse it. Putin had done, Xi transformed his country’s foreign policy from assertive to aggressively expansionist. The Chinese leader has militarized territorial disputes in the South and East China Seas and fortified Chinese-constructed artificial island chains with missile batteries and aircraft bases. Putin’s and Xi’s kinship is real and formidable, but even it may not be enough to overcome the obstacles to a genuine alliance. One such obstacle is aptly described by a Russian expression, “istoriya s geografiey.” Literally “a history with geography,” the collocation refers to a seemingly straightforward matter suddenly turned into something involved and complicated. History and geography militate against an entente cordiale between the two Eurasian giants. Authoritarian states sharing a -2,600mile border, with much of that boundary first imposed by imperial Russia on a weaker neighbor, are hardly ideally set up to build mutual trust. Reinforcing that barrier are very significant structural differences between the two countries’ economies, which result in their holding divergent stakes in the present world economic order. Confined largely to exporting oil and gas, Russia’s integration in the world economy is at once quite secure and quite limited. Moscow can afford to rock the boat and to seek from Beijing a pointedly anti-Western, active, and committed military-political partnership. China’s economy, on the other hand, is the world’s second largest—more than seven times the size of Russia’s—with exports that include advanced communication technologies, cell phones, computers, and cars. The country’s trade with the United States and the European Union comes to at least five times the value of its Russian account. Because of its greater interdependence with other leading world economies, China’s system is also far more vulnerable to geopolitical disruptions than Russia’s. And as a greater beneficiary of the liberal international economic order than Russia, China is warier of antagonizing that order’s ultimate guarantor, the United States. Skillfully promoted optics notwithstanding, China is not likely to follow Russia into an anti-Western geopolitical crusade, preferring to cooperate with its alleged ally on a more modest scale economically and especially militarily. When I was living in Moscow in the fall of 1969, a rumor circulated that, returning from the funeral of Vietnamese leader Ho Chi Minh’s funeral, Chairman of the Council of Ministers Alexei Kosygin stopped over in the Beijing airport for talks with his Chinese counterpart, Zhou Enlai. When the Chinese premier moved to embrace him, Kosygin drew back, saying, “This is premature.” Apocryphal or not, Kosygin’s injunction seems applicable today. Despite claims to the contrary, the notion of a Chinese-Russian alliance is still premature. This article was originally published on ForeignAffairs.com. * LEON ARON is the Director of Russian Studies at the American Enterprise Institute. teacher, who lives with his parents. Zelenskiy’s character becomes president after a video recording of him, ranting about the corrupt political system in Ukraine, goes viral online. The charismatic celebrity has garnered nation-wide support by appealing to young voters, masterfully using social media (he has 3.5 million followers on Instagram), and calling out the Ukrainian political establishment for corruption and injustice. A candidate like Zelenskiy offers hope for a fresh start to the people of Ukraine, who tirelessly demand economic prosperity and Western integration from their leaders. curious that the ‘demands’ made by Zelenskiy’s team to Petro Poroshenko last week were actually much more detailed and specific than this plan.” There is also a rising concern that Zelenskiy might be influenced by Ihor Kolomoisky, a Ukrainian oligarch living in self-imposed exile (reportedly in Israel). Kolomoisky owns the TV channel where Zelenskiy’s show airs and is said to be providing the presidential candidate’s security and transportation. Kolomoisky faces numerous investigations in Ukraine into his business dealings, and his questionable reputation could pose a challenge to Zelenskiy’s chances of winning the election, but Zelenskiy insists that he is independent and cannot be influenced by any special interests. However, the most serious step Poroshenko has taken so far, in order to show that he takes the voters’ demands seriously, is the one regarding anti-corruption. point Saakashvili was stripped of his Georgian citizenship and fled the country, later he was stripped of his Ukrainian citizenship and was forced to move to the Netherlands. Moreover, Ukraine’s other neighbor – Moldova, another postCommunist country often grouped with Georgia and Ukraine as a “hybrid regime”, is experiencing similar developments. Moldova’s February parliamentary election resulted in favor of Moldova’s own billionaire oligarch-in-charge thanks to massive political and electoral manipulation. It’s not easy to unsettle an oligarch ruler through democratic means, and we are yet to see one capable of change. Moldova’s recent experiences with elections gone wrong should simply serve as a cautionary tale for the Ukrainian voters: it’s not easy to unsettle an oligarch ruler through democratic means, and we are yet to see one capable of change. Eurosceptics have attacked May for her decision to seek Jeremy Corbyn’s help to get the Brexit deal through parliament and deliver Brexit, warning that her approach “threatens to damage the Conservatives for years”. They fear the outcome of the cross-party talks will be a soft Brexit or a second referendum. At this stage, even the most committed observer would struggle to predict a clear path through the current chaos towards a solution. Meanwhile, the public is also in disarray. Brexiters cite the 17.4 million who voted to leave the EU, insisting that most of them want a hard Brexit and that the “will of the people” should be upheld no matter what. Remainers claim that public opinion is changing, pointing to a march for a “people’s vote” in London on March 23 that drew a purported 1 million people, and a petition to revoke Article 50 which has attracted over 6 million signatories. was 52 percent to 48 percent in favour of exit, while nearly 75 percent of today’s MPs voted remain. The The problems that have led to the current impasse referendum was the first time that Britain’s electorate run deep and can be traced back to 2013 when Prime had voted for an outcome with which it›s MPs Minister David Cameron, succumbing to pressure disagreed. In the only other UK-wide plebiscites that from within his own Conservative Party, promised have been held, one in 1975 on the membership of the British people an in/out referendum on EU the EU, and the other in 2011 on changing the voting membership if he were to win the upcoming election. system for MPs, both MPs and voters agreed. This is When the June 23 referendum was held, neither only half the issue. The other is that most of the 25 Cameron nor the government had a plan on what Brexit percent of MPs who did vote leave disagreed with would look like. Usually, when referendums on big how the government led by a former Remainer would political decisions with far-reaching consequences interpret and deliver on the vote. This demonstrated are held, a turnout threshold or special majority that parliamentary democracy and direct democracy requirement is decided, but Cameron legislated for had become incompatible. The division between a referendum without such safeguards. The result parliament and the public developed into an impasse between parliament and the executive - illustrated by the worst defeat in the commons ever recorded over May’s Brexit deal. The crisis has caused a blockage in British politics, and a deadlock within and between the two parties, while forcing both parties to maintain their squabbling political family units which contain within them people whose views diverge radically from each other. The referendum was the first time that Britain’s electorate had voted for an outcome with which its MP's disagreed. towards MPs have become the norm. After the MPs rejected May’s deal for a second time, the front page of the Daily Mail denounced “The House of Fools”. When asked if parliament is emerging from Brexit in good light, only 6 percent of people said yes. A new study by the respected Hansard Society found that an alarming 72 percent of people felt that the UK’s democratic system needed “quiet a lot” or “a great deal” of improvement. Growing dissatisfaction with MPs is also leading people to entertain “radical solutions” which challenge the core tenets of democracy, the charity warned. government should form a cross-party group to agree Hansard Society director Dr Ruth Fox said the on a Brexit deal, but the Europe-inspired idea was anti-system sentiment, pessimism about the future not welcomed by Theresa May. Under a cross-party and strong feeling the system favours the rich and approach, a middle ground could have been found powerful was creating a “potentially toxic recipe” within the competing mandates, particularly as at the for the future of British politics. Another recent time, May had command over her party before she study by the campaign group Hope Not Hate found that more than two thirds of the British public feel lost her majority in the 2017 snap general election. Instead, since Cameron’s gamble, Theresa May’s they are not represented by the main political government approach to Brexit- from her premature parties. The research found that disconnect had decision to trigger article 50 to ignoring the 48 increased from 60 percent to 67 percent over the percent that voted remain by refusing to hold cross- last six months as Theresa May negotiated her party talks to keep her pro-Brexit party members on withdrawal agreement. her side – have resulted in a deepening of divisions. Her decisions have sown the seeds of rebellion and For decades, people have spoken of the breakdown suggest that she is more interested in keeping her of the current political system, but Brexit may just do it. The extent of the institutional breakdown over party together over national interest. the past two and a half years has elicited scenes in Labour’s strategy has also been driven by party parliament without precedent. MPs from both parties interest. Jeremy Corbyn, a lifelong Eurosceptic have regularly crossed the floor and whips have been leading a mainly Remain-leaning party has kept an defied. On one crucial vote, several cabinet ministers ambiguous position by sitting on the fence for as abstained. The crisis has caused a blockage in British long as possible to avoid alienating any of his party politics, and a deadlock within and between the two or his voters. Corbyn has maintained that a Labour parties, while forcing both parties to maintain their government could deliver a Brexit deal that provides squabbling political family units which contain within all the benefits of EU membership but with none of them people whose views diverge radically from each the costs. The shadow cabinet is also split on the other. This experience could inspire the UK to take a new look at how it is governed and move towards issue of a second referendum on any Brexit deal. a system where the executive, the political parties However the crisis ends, the verdict on parliament’s and parliament reflect this multifarious country better performance will be damaging. Death threats than they currently do. By: Salem Abu Dhahir Tripoli- Libya’s smuggled or frozen funds, which include billions of dollars in cash, bonds, deposits, large hotels, lands, yachts, luxury cars and private planes, are all owned by Libyans who can’t benefit from them. Libyan authorities don’t know the sum of the funds that were “looted and smuggled” abroad. Furthermore, the authorities don’t announce total of smuggled assets published on official reports. This report will cover Libyan-state owned liquid funds, consisting of money, deposits, gold and precious stones, of which only the Central Bank of Libya in Tripoli is allowed to handle. It will also follow up on funds in the form of investments that are owned and handled by the Libyan Investment Corporation (LIC), which includes five affiliated institutions, collectively comprising the large Libyan investment portfolio. These institutions are: The Libyan Arab Foreign Investment Company (LAFICO), Long Term Investment Portfolio (LTP), OilInvest Group, Libyan Local Investment and Development Fund (LLIDF) and Libyan Africa Investment Portfolio (LAP, LAIP). In March 2003, the Libyan government embarked on real and serious steps to achieve comprehensive economic reforms in the country. “These funds were supposed to be primarily allocated to the reconstruction program and contracting with a number of companies. As such the funds would go towards the maintenance and rebuilding of schools, hospitals, universities, police headquarters, departments and state institutions , which were vandalized and destroyed during the revolution, in addition to completing some projects, especially airports,” Ziglam explained, adding that they were, however, smuggled out through airports, sea ports and land ports. “Libyan people’s money is being smuggled abroad, and Libyans should demand freezing them again,” he concluded. Ziglam’s disappointing remarks were confirmed by former head of the executive board of the National Transitional Council Mahmoud Jibril. “The amount of money looted after February 17 exceeds what has been looted over the past 42 years,” he said in an appearance on one of the TV channels. Former Minister of Health Fatima Hamroush, for her part, told Irish Times Newspaper she has documents that prove 1.5$ billion have been embezzled out of the country. At the international level, “there is a significant increase in the level of corruption in Libya, which was ranked 172 among the 177 most corrupt countries,” said a report issued by Transparency International late March 2013. At the local level, however, Head of the Libyan Audit Bureau, Khalid Shakshak, affirmed in a voice recording from late 2014 that Libya has gone beyond the corruption phase and is now underestimating allocation of public money. “The budget for 2013 amounted to more than 70$ billion, yet there was no remarkable improvement in the country.” “Sick Libyans receive treatments abroad despite the seven billion dollars spent on the health sector, and the state is unable to protect its borders and facilities despite spending seven billion dollars on the Ministry of Defense,” explained Shakshak. In humble attempts to reduce corruption and tampering with Libyan millions, Shakshak issued urgent decisions to prevent officials from pursuing their work in certain banks and ordered concerned authorities not to assign them any future leadership work. Among these officials are the general manager of the Republic Bank and director of credit risk management department at the same bank. He also fired deputy director of the Republic Bank’s branch in al-Fallah along with director of the North Africa Bank at Zliten’s branch. Shakshak later issued an urgent decision to freeze the bank account s of 38 companies and 62 individuals for being involved in the smuggling of foreign exchange currencies and falsification of official documents. All in all, Libyans’ conditions began to change internally, and they started dreaming of a different Libya. This dream would never come into fruition as 2011 arrived and with it came the Arab Spring revolutions. decides further that all . In other words, any foreign assets belonging to people listed in Annex II, should be frozen by the respective Member States should any of said assets exist within their jurisdictions. The people listed in Annex II included Ayesha Gaddafi, Hannibal Muammar Gaddafi, Khamis Gaddafi, Muammar Gaddafi, Mutassim Gaddafi and Saif al-Islam Gaddafi. In March 2011, resolution 1973 was issued to affirm all what was stipulated in resolution 1970, adding an article through which assets of Gaddafi’s sons Mohammed and Saadi Gaddafi shall be frozen in addition to assets belonging to Colonel Abdullah al-Senussi, Abu Bakr Yunis Jabir, Abu Zayd Umar Dorda and Matuq Mohammed Matuq. It also stipulated freezing assets of five Libyan institutions and financial entities, which are Central Bank of Libya, Libyan Investment Authority, Libyan Foreign Bank, Libyan Africa Investment Portfolio and Libyan National Oil Corporation. In response to these harsh measures, Gaddafi told a French journalist in his tent in Tripoli on March 2011 ,5 he doesn’t have money abroad and challenged the world to prove the A copy of the letter dated to the Head of the Asset Recovery Committee to Tunisian lawyer Ramzi Mubarak asking him to represent Libya in court cases regarding Libyan money smuggled to Tunisia. A copy of President of the General National Congress’s, Mohamed al-Magriaf, speech which he gave in February 2013, regarding his plans on forming technical commitees which would search for smuggled funds abroad. Banks in Canada have $ 2.3 billion worth in Libyan funds while those in France have 6.7 billion euros and more than seven billion euros are in Germany, according to the Reuters’ report. funds outside Libya, being the last governor of its Central Bank during Muammar Gaddafi's rule from 2006 to March 2011 ,12. “Libyan assets are estimated at 168.425 billion, of which about 104 billion are to the central bank. These 104 billion are distributed as following: about 40$ billion in cash, about 30$ billion as US Treasury bonds and bonds in European governments, and the rest are distributed on loans given to foreign countries and some investment portfolios managed by others serving the interest of the Central Bank. In addition, about 64$ billion are given to the Libyan Investment Corporation,” explained Bengdara in an interview with a TV station. A letter dated 2015/11/25 from the Libyan Central Bank to the UN Sanctions Committee requesting the liquidation of frozen Libyan assets and bonds. established since the Transitional Council took over, all intended to retrieve frozen funds from banks abroad. President of the General National Congress (GNC), Mohamed al-Magariaf established one of the more farfetched means for fund recovery. He called for the forming of technical committees which would search for these smuggled funds abroad. Any individual within the committee that recovered the funds would be awarded 10 per cent of the retrieved assets. For instance, if a person within the committee or the entire committee would recover 10 billion dollars’ worth of funds; he or the committee would be rewarded 10 per cent of those 10 billion dollars, which would equate to a billion dollars. The policy was met with some criticism as many observers of Libyan affairs considered this decision a means of legalizing corruption by the country’s top legislative authority. to an assassination attempt which was thwarted as his death meant the evaporation of Libya’s billions in South Africa. Bashir was Gaddafi’s secret keeper and director of his office since late 1990s. He then became head of Africa’s Libyan Investment Fund until 2011. Despite all this speculation, the only person who could confirm the true figure of the embezzled funds in South Africa was their former president Jacob Zuma. Head of the Libyan Audit Bureau: Libya has gone beyond the corruption phase and is now underestimating allocation of it public money. Head of the Libyan Audit Bureau, Khalid Shakshak. Responding to questions by members of his government's parliament about Gaddafi's hidden funds, Zuma told the whole world on July 2013 ,8 that none of the Libyan officials has provided South Africa with evidence on the transfer of these assets and funds to South Africa. “Those who have evidence should hand them over to the relevant Libyan authorities or the United Nations ... We have not found any funds, and if any of those Libyan funds or assets were found in South Africa, we will immediately inform the United Nations through the Department of International Relations and Cooperation,” he said. Zuma’s message was over, and Libya’s billions are still buried in his country, which is a clear sign that they may not return to the Central Bank of Libya any time soon, or ever for that matter. le, however a recent article in the Sunday Times revealed that before his death, Gaddafi smuggled 30 million US dollars to former President Jacob Zuma’s bunker at his home Nkandla. The funds were discovered recently as the president was moving them out of South Africa to Estwani. Jacob Zuma had previously denied the existence of embezzled Libyan money in South Africa, but it appears now that the disgraced former president will have another scandal to answer for. Embezzled cash seized by Libyan authorities at Benina International Airport. The arrested smuggler was planning on taking the money to Istanbul, Turkey. Transparency International: There is a significant increase in the level of corruption in Libya, which was ranked 172 among the 177 most corrupt countries. As much as he tried to hide the assets, many in the international community had known about his possession of Libyan funds for years. For instance, the Guardian reported that since 2011 former US Secretary of State, Hilary Clinton, had known about Gaddaffi and Zuma’s plans to smuggle the former’s funds out of Libya. Clearly, the issue of embezzled funds from Libya is a complex one that will only be resolved with a coordinated effort from the international community, but as it stands the Libyan government will have to find ways to improvise the reconstruction process. Christian south and intensifying the decadeslong north-south civil conflict. In 1993, he dissolved the military junta which brought him to power and appointed himself civilian president. He was confirmed president by an election in 1996 where he ran completely unopposed. He eventually legalised the registration of political parties in 1999. Later that year, Bashir ousted Turabi, who he believed was plotting against him and had him imprisoned. In 2000 he was re-elected for a five-year term in Presidential Elections. In 2003, several ethnic groups in Darfur launched a rebellion against the Sudanese government. The United Nations and human rights groups say Khartoum used militias known as the janjaweed as a proxy force to crush the revolt. Khartoum denies the claims. Bashir was criticised for not cracking down on the Janjaweed militia. Following international pressure for Bashir to end Africa’s longest civil war, Bashir agreed a north-south peace pact with the Sudan People’s Liberation Movement in 2005. Under the terms of the agreement with the southern rebels, a referendum for southern Sudanese citizens was held in January 2011 to determine whether the south would remain part of Sudan or secede. The results overwhelmingly indicated a preference to secede, and an independent South Sudan was declared six months later on July 2011 ,9. The United States referred to the Darfur conflict as genocide in 2004. The UN Security Council referred the Darfur case to the ICC in 2005, giving them the mandate to investigate the claims. The United Nations says the longrunning conflict killed 300,000 people and uprooted 2.7 million. Bashir put the death toll at 10,000 people. In March 2009, the International Criminal Court (ICC) issued an arrest warrant against him and charged him with war crimes and crimes against humanity. In 2010, the ICC issued a second arrest warrant against him, this time charging him with genocide. Omar al-Bashir stated that since Sudan is not a party to the ICC treaty which established the court in 1998, it should not be expected to abide by its provisions. Despite the international arrest warrant, he won consecutive elections in 2010 and 2015. However, his last victory was marred by a boycott from the main opposition parties. In December 2018, following a government announcement that prices for fuel and bread would rise, the Sudanese people took to the streets over harsh economic conditions and poor living standards. What began as small a scale protest in the northern town of Atbara, quickly transformed into large-scale, organised anti-government marches and demonstrations in towns and cities across Sudan. The demonstrations changed from an economic agenda to demanding that Bashir step down. months of almost entirely non-violent protests, Bashir was removed as president on April 11 and arrested by the military. Tens of thousands of Sudanese marched through Khartoum in celebration. I bring several years of experience to a show I have always dreamt of and I have worked hard to bring it to light. with sincerity and love. What I care about is people’s positive feedback and this pushes me forward to achieve success. Q- Do you take feedback from your audience into consideration to make improvements to the show? Of course, I do. I always take people’s comments into consideration and I am known for this. I respond objectively to their comments, and this is proven by the great difference between the first and second episodes. Usually, shows don’t get high ratings from the first episode, but mine did, and this pleases me. I promise my audience that every episode will be different from the one before as it will be adapted to the guest. An episode with an artist will differ from one that features a politician or an athlete as each one will be prepared differently. Q- How do you deal with rumours, particularly as they involve your marriage and divorce? As I said earlier, I don’t care about negativity. However, this subject honestly saddens and bothers me, but I have decided not to care anymore. I decided to focus on my career and life. If I were to comment on what is negative, I will stand still instead of moving forward in my work. Their negative comments about me prove that I am bothering them. Q- Are you a hot topic of discussion in the media? Honestly, yes I am, especially lately with the start of my new show. I am happy with that because it proves I am successful and that I have a strong presence in the media. Q- What do you promise your audience? I promise to always be successful, to present strong and distinctive episodes, and to always meet my audience’s expectations. TREMOR SYMPTOMS Hand tremors may occur at rest (such as in Parkinson’s disease) or they may occur with activity. Most resting hand tremors look like you’re rolling a pill between your thumb and index finger. When you do something, the tremor disappears. Hand tremors that occur with activity are described based on when they appear: • Postural tremor “occurs when your hands are outstretched, and gravity is pulling them down. You can’t keep the hands completely steady while they’re outstretched,” Dr. Umeh says. • Intention tremor starts when you’re reaching for a target, like a keyhole as you unlock your door. • Task-specific tremor occurs when performing an activity, such as when you’re writing. tremor is often postural. Parkinsonian tremor. This resting, pill-rolling tremor can occur with or without the degenerative neurological condition Parkinson’s disease. Essential tremor. This is a benign tremor that causes involuntary shaking in various body parts, including the hands, head, and voice box. “A person with essential tremor may have a postural hand tremor or an intention tremor,” Dr. Umeh says. Cerebellar tremor. This is an intention tremor caused by damage to the cerebellum in the back of the brain, often from a stroke or multiple sclerosis. “The cerebellum helps coordinate movement, like reaching out to grasp a doorknob. Cerebellar damage can cause your hand to miss the doorknob,” Dr. Umeh says. Post-stroke tremor. After a stroke, a person can have a variety of tremors. “If there’s damage to the cerebellum there can be an intention tremor. If the damage is in the basal ganglia, the person can have a resting tremor,” Dr. Umeh explains. Withdrawal tremor. People suffering alcohol withdrawal can experience postural tremors. DIAGNOSIS Diagnosing a tremor requires a physical exam and a careful analysis of your medical history. “I want to know what it looks like and if there are any associated features. Is there balance impairment, stiffness, or slowness of movement as in Parkinson’s disease? Was there a stroke? Is there a brain lesion? Is the person taking a certain kind of medication? Does the person consume a lot of caffeine or have any other underlying conditions?” asks Dr. Umeh. She says it may be necessary to order lab work to check for thyroid disease or get an image of the brain to check for signs of a past stroke. We all have a little bit of tremor called a physiologic tremor; it’s natural and not usually noticeable. movements such as tremors. “Tremors from multiple sclerosis, strokes, and brain tumors are not typically reversible,” Dr. Umeh says. Camel caravans once crossed the desert to bring sugar, salt and gold to Fez from Timbuktu and beyond. Now, Chinese tour groups arrive by bus. much of the Muslim world. Moments later, the sounds of life resumed, the tap-tap-tapping at fiery forges in the copper and brass market, the braying of donkeys (the only nonhuman transport allowed in the medina) as they clattered down stone steps, the cries of hagglers in the herb and spice stalls, and the honking horns outside the 14 arched gates and 15 miles of ramparts that long have kept the modern world at bay. Lights twinkled from the tower of Al Quaraouiyine, founded in 859 and now the worldâ&#x20AC;&#x2122;s oldest degree-granting university. The first French pope, Sylvester II, attended in 998 and supposedly brought Arabic numerals to Europe. The Jewish philosopher known as Maimonides studied here in the 12th century. A plaque marks the alley where he supposedly lived, as does a tiny Chinese restaurant named in his honor. We had arrived in Fez that day. A man had grabbed our bags from the taxi and led us at a half-run through the first gate, then another, over a small footbridge and deep into the labyrinth of 9,600 narrow lanes inside the ancient walled city. Most have no names, but our guesthouse turned out to be three blind turns down a dark passage called Lane of Seven Twists. Dar Seffarine, named for the nearby brass market, was an ideal oasis in the middle of the hustle and bustle in the medina. A dar is a traditional large Moroccan home, generally two floors around an open courtyard flanked by columns and corridors, all lined with an ornate mosaic of tiles known as zellij and intricately carved and painted stucco called tadelakt. This dar had seven guest rooms, and each had been extravagantly restored. Our two-room suite was downright palatial. The houses are similarly designed for the desert - and for Islam. period in Spain. “No, it is much more than that,” he said. “Fez is very rich in culture, because it collected art from around the Muslim world when it was the center of that world. The style of wood carving traces back to Egypt. The tiles are from ancient Rome and Persia. The flowers in the stucco are lotus blossoms from India. The calligraphy and the arches are from Iraq.” Said is driven by that remarkable history, little understood or appreciated in the West. He said he isn’t finished with Dar Seffarine “This is a piece of art,” he said. “I’m not changing it. I’m just restoring it.” This article was originally published in the Los Angeles Times.